Remember Planetary Resources? They’re the space firm that announced the jaw-dropping (some might say crazy) goal of mining asteroids last year. Well, they’re back. 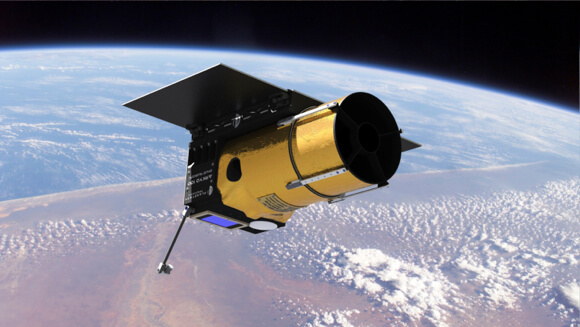 The new Planetary Resources Kickstarter aims to launch the first crowdfunded space telescope and then give control over to the public to snap a selfie or two with its camera arm or to plumb the cosmic depths with the scope’s optics. It’s a big idea, and the firm has set an equally big funding goal. Most Kickstarters set targets under $100,000. Planetary Resources is aiming for $1 million. Said another way, if only $999,999.99 is raised this project won’t happen. I interviewed Peter Diamandis, co-founder and co-chairman of Planetary Resources, to get the lowdown on their Kickstarter campaign, crowdfunding, and how exponential tech is enabling citizen science. Diamandis told me Planetary Resources’ first, second, and third purpose is asteroid mining. But after that, it’s about education and outreach. “We’re an inspiration company,” he said. 50,000+ people contacted the firm in the first 24 to 48 hours after their inaugural 2012 press conference — 3,500 applied for a job, 2,500 submitted investment proposals, and thousands of others just wanted to know how they could get involved. Giving control of an ARKYD space telescope to folks may be a good way to engage the community. But the Planetary Resources team wants to be sure. Take an orbital selfie for $25. At the first pledge level ($10), backers get a say in how the telescope will be used plus membership in the community, which includes photos, videos, and updates throughout the build process and launch. The next level is “your face in space.” Pledge $25 to $39 (or $65 for HD) and upload an image to the satellite to be displayed on a dedicated screen for a “space selfie” with the limb of the Earth curving into the void behind. $99 buys five minutes observation time for a student or research group of your choosing and a year membership to the Planetary Society (available for all pledges above this level). $200 puts you in the driver’s seat. Steer the telescope and snap a photo of the celestial object of your choosing — a nebula, Jupiter, Saturn’s rings, another galaxy, maybe even an asteroid. 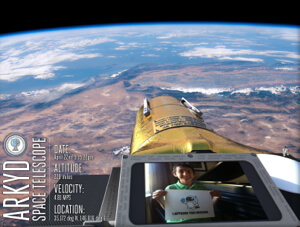 Top pledges ($1,750 and above) allow backers to give 10 or more observations and photos, plus a bundle of space selfies, to the K-12 school, university, or museum of their choosing. It’s one thing for students to look at Hubble photos online — distant and impassive — quite another to direct a telescope moving 5 miles/second in the sky overhead. The process and technology behind those Hubble images comes alive. Space telescopes are expensive to build and launch, but they deliver stellar results. 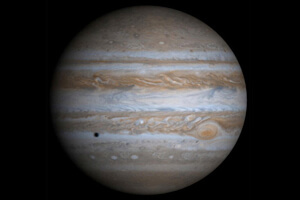 Absent light pollution and distorting atmospheric effects, space telescopes take images that none but the most advanced ground-based telescopes can produce, and even then only after powerful computers correct the image. So how did we get from the $1.5 billion Hubble telescope to this point? A crowdfunded public space telescope was not possible even ten years ago. Neither the crowd nor the technology was ready. Diamandis said that much of the aerospace industry runs twenty years in the past. Nothing flies that hasn’t flown before. Each year, the spread between what’s possible and what actually flies widens. Few people know this better than the Planetary Resources team. The team is using cutting edge exponential technologies and materials to lower the cost of building their spacecraft, while improving its per pound functionality. They are already 3D printing ARKYD components and plan to 3D print as much of the spacecraft as possible in the future. Space has always been remote, physically of course, but psychologically too. Long the sole domain of elite scientists, astronauts, and monolithic government agencies spending billions. It’s challenging to get on board with something that doesn’t seem to have anything to do with Earthly living.